No experience necessary. Making your own chain creates a unique statement – in its simplicity create a very elegant one and do it in a day. Bring friend or family and work together. The chain can be made in either (or any combination) of copper, brass, or soft steel wire. 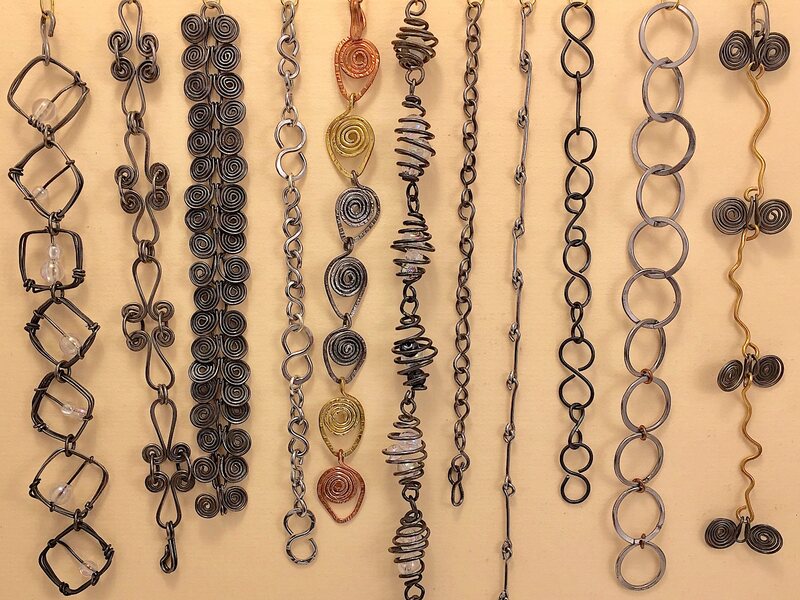 Learn about 3-4 different kinds of links, how to form them, join them, embellish them, and give them a finish.